Energy safety professionals know that building an effective safety culture can’t be achieved without the participation of workers at every level of a company. IndustrySafe safety management software makes it easy for energy crews to implement behavior based safety programs. Employees can quickly record safe and unsafe behaviors and conditions that they observe, and record their comments. When an incident occurs, energy safety professionals need to work quickly to determine an incident’s causes and contributing factors. IndustrySafe’s Incident module allows energy EHS professionals to perform detailed incident investigations, trend incident data, and generate accurate regulatory reports, including OSHA 301, 300, and 300A recordkeeping logs. Using IndustrySafe safety management software, energy companies are able to involve all workers in improving workplace safety, uncover the reasons why dangerous acts and incidents occur, and gain insights that improve operations. Omaha Public Power District (OPPD) works to lead the way in powering the future by providing its customers with reliable and environmentally sensitive energy services. OPPD is currently using IndustrySafe to record and track incidents, inspections, hazards, observations, corrective actions, training, job safety analysis and to analyze key safety metrics. Citizens Energy Group is a broad-based utility service company, providing natural gas, thermal energy, water, and wastewater services to about 800,000 people and thousands of businesses in the Indianapolis area. Citizens Energy is currently using IndustrySafe to record and track incidents, inspections, hazards, observations, corrective actions, and to analyze key safety metrics. Fluor is a global engineering construction company that provides engineering, procurement, construction, maintenance and project management services worldwide. Fluor is currently using IndustrySafe to record and track incidents, inspections, hazards, observations, corrective actions, training, and to analyze key safety metrics. Hawaiian Electric has powered the Hawaiian Islands and empowered its citizens since 1891 with honor. Hawaiian Electric is currently using IndustrySafe to record and track incidents, inspections, hazards, observations, corrective actions, training, job safety analysis and to analyze key safety metrics. Serving approximately 200 square miles of Lancaster County, Nebraska, Lincoln Electric Systems’ 500 employees provide reliable electric supply at the lowest cost possible to its customers. Lincoln Electric Systems is currently using IndustrySafe to record and track incidents, claims, inspections, hazards, and to analyze key safety metrics. Headquartered in Denver, Colorado, Liberty Oilfield Services is a premier hydraulic fracturing services company. Liberty Oilfield Services is currently using IndustrySafe to record and track incidents, inspections, hazards, observations, corrective actions, training, and to analyze key safety metrics. An industry leader in safety performance and a world record holder for extended-reach drilling, Parker Drilling offers worldwide technically innovative services. Parker Drilling is currently using IndustrySafe to record and track incidents, inspections, hazards, observations, corrective actions, training, and to analyze key safety metrics. 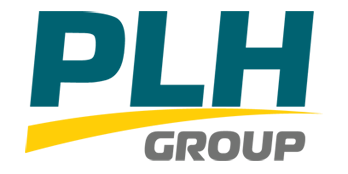 PLH Group is a leading, full service power line construction, pipeline construction and specialty contractor that serves the electric power line, pipeline, oil field electrical and industrial markets. PLH Group is currently using IndustrySafe to record and track incidents, inspections, hazards, observations, corrective actions, training, and to analyze key safety metrics. 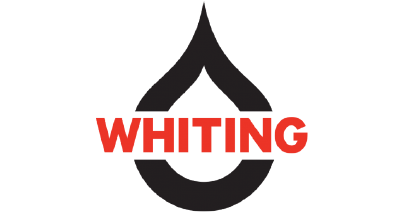 Whiting Oil & Gas is an independent oil and gas company that acquires, exploits, develops and explores for crude oil, natural gas and natural gas liquids. Whiting Oil & Gas is currently using IndustrySafe to record and track incidents, inspections, hazards, observations, corrective actions, and to analyze key safety metrics. 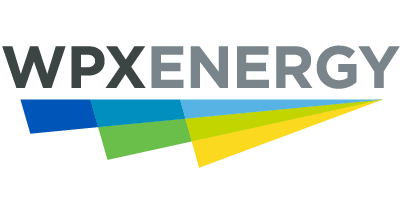 WPX Energy is a Tulsa-based energy company specializing in the production of natural gas, natural gas liquids and oil. WPX Energy is currently using IndustrySafe to record and track incidents, hazards, corrective actions, training, job safety analysis, and to analyze key safety metrics.